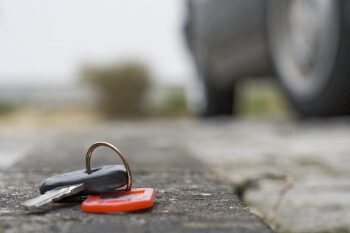 Losing your keys can be inconvenient if you’re not able to get to a destination in time. It can be downright scary if you’re in a part of town you don’t know late at night or early in the morning. If you live in the Dallas-Fort Worth area and don’t know where to turn to replace lost car keys, you should consider Dallas FW Locksmith. Our company serves Dallas and Fort Worth, TX and surrounding areas and has become known as one of the fastest and most reliable locksmiths in the area. We provide a wide variety of services, including car key duplication services for our customers. If you need to replace lost car keys, you can count on us to do it in record time and with the courteous attitude for which we have become known for. When you call our company, you can expect fast and friendly service no matter the hour of the day. We provide 24x7 locksmith service and key duplication services 365 days a year. No matter the hour or the holiday, we offer the same 30 min response time. Our fast responses have gained us a reputation as one of the fastest locksmiths in the Dallas-Fort Worth area. We can provide key cutting services during emergencies or make spare keys or laser cut keys during non-emergencies. When you need to replace lost car keys, we can cut new keys for all makes and models, whether the vehicles are foreign or domestic. We remake keys to BMWs, Dodges, Nissans, Lexus’, Chryslers, and other car types. If you need a car lockout service, we will come quickly to unlock the trunk and car door for you as quickly as possible so that you can get on your way. Dallas FW Locksmith is a trusted locksmith in the Dallas-Fort Worth area with more than a decade of experience. We are a family-owned and operated company dedicated to valued principles of the past, including complete customer satisfaction. We work to do the job right the first time so that you don’t have to stress when you need to replace lost car keys or get into your car when the keys are locked inside. We are a fully licensed, bonded, and insured company and provide up front pricing for all of our services. We will never try to add in additional fees after the job is completed because we are committed to being fast, reliable, and trustworthy. Our expert technicians and mobile locksmiths, who have all worked in the industry for 5 or more years, are dedicated to the same values and believe that customer satisfaction is the most important aspect of what we do. Our technicians and locksmiths use state-of-the art tools to complete every job. They come equipped with any tools they could possibly need to help our customers to get into their vehicles as quickly as possible. With our 24x7 locksmith service, you can feel secure that you will never get locked out of your car or need to replace lost car keys and have nowhere to turn. You also don’t have to worry about price gouging because of our upfront pricing. We are backed by a 100 percent guarantee on parts, labor, and customer satisfaction. If you are not happy with your car key duplication or locksmith service, we will fix the issue for no additional charge. As a fully licensed, bonded, and insured company, Dallas FW Locksmith is a trusted provider of locksmith services because we handle each lockout or key duplication in a professional manner. If you are in need of emergency service, call us anytime, 24/7. I Lost My Car Keys! http://dallasfwlocksmith.com/replace-lost-car-keys/ 4.2/5 based upon 24 reviews.